What makes Tony Soprano so likeable? Why would we rather leave the cannoli and take the gun? Do we truly want Scarface’s Tony Montana to succeed? Is Michael Corleone a misunderstood hero or a despicable villain? 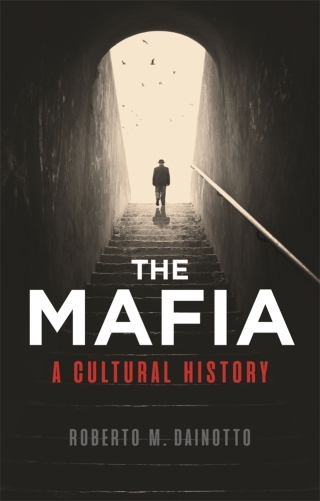 In The Mafia: A Cultural History, now available in paperback, Roberto M. Dainotto traces the complex and fascinating development of the mafia: its rural beginnings in Western Sicily; its growth into what has been aptly described as a global multinational of crime; and its parallel evolution in music, print and on the big screen. The book probes the tension between the real mafia – its brutal and often violent reality – and how we imagine it to be: a mythical assembly of codes of honour, family values and chivalric masochism. Rather than dismissing such mafia stereotypes as untrue, Dainotto sets out to understand what needs and desires, material and psychic longings, are satisfied by our mafia fantasies. Exploring the rich array of films, books, television, music and even video games portraying and inspired by the mafia, this book offers not only a social, economic and political history of the mafia but a new way of understanding our enduring fascination with what lurks behind the sinister omertà of the family business. Born in Sicily, Roberto M. Dainotto is Professor of Romance Studies and of Literature at Duke University, North Carolina, and author of Europe (in Theory) (2007).